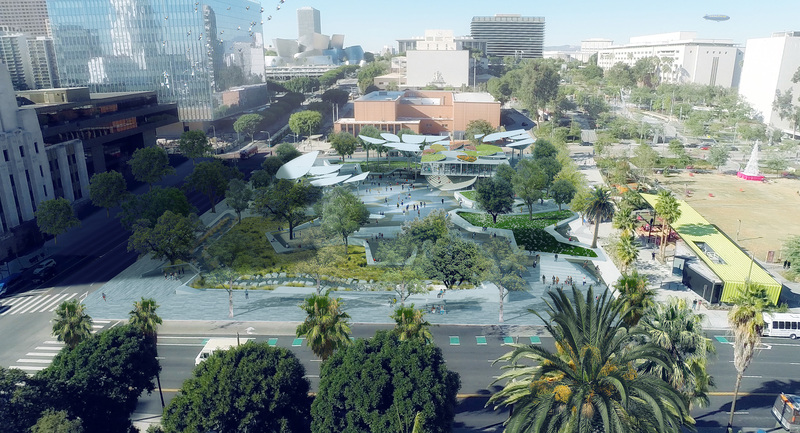 The team led by Mia Lehrer and Associates (MLA), in partnership with Office of Metropolitan Architecture (OMA) and design innovation firm IDEO, was selected by the City of Los Angeles this morning to design the new $12 million public park located at the intersection of First and Broadway in Downtown Los Angeles. MLA’s proposal for the so-called FaB Park utilizes a mix of meadows, gardens, and terraces packed with native plantings and mature oak trees to create a shady “California oaklands” landscape that can handle and capture all on-site stormwater for treatment and infiltration. 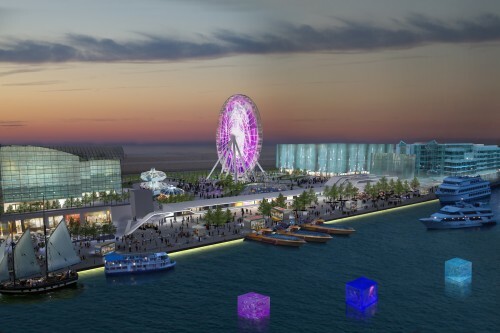 The design also features a large, split-level structure with amphitheater seating designed by OMA that will be programmed by IDEO with public events focusing on food and entertainment. The structure injects a sizable commercial element into the scheme and features and associated beer garden and test kitchen. 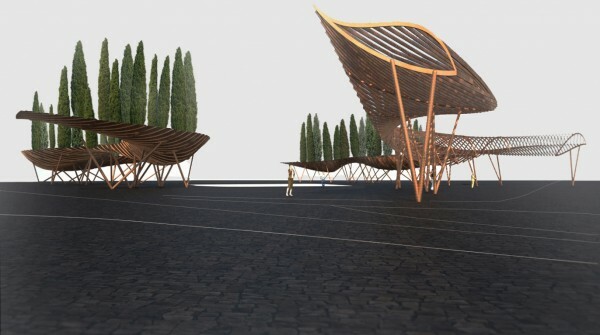 Towering, leaf-shaped shade structures dot the central plaza adjacent to the restaurant and amphitheater and aim to distribute shade across the unplanted portions of the scheme. The plaza will be accessed from a variety of approaches connecting to surrounding sidewalks, each of which frames one of the scheme’s signature gardens. A paseo will runs across the site from the corner of First and Broadway to Spring Street and City Hall and cuts through the plaza. 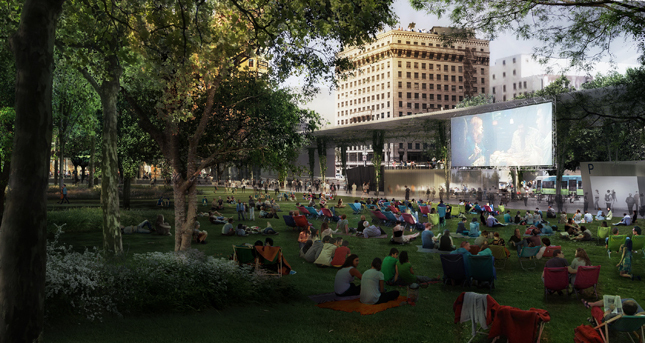 The park aims to not only create place of respite in one of downtown’s most symbolic sites, but also to connect foot traffic between the Rios, Clementi, Hale Studios-designed Grand Park adjacent to FaB Park, City Hall, and the Los Angeles Times headquarters, and new SOM-designed United States Courthouse across the street. FaB Park is the second major park-related development in the neighborhood, with the Agence Ter and SALT-designed, minimalist proposal for the blighted Pershing Square sitting just four blocks away released just a few weeks ago. 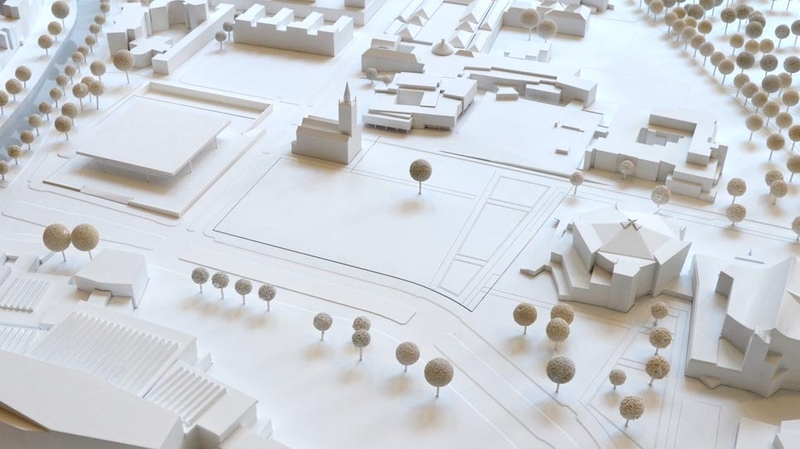 !melk, a brand new landscape architecture and urban design firm, is set to join Arata Isozaki, Daniel Libeskind, and Zaha Hadid, among others, for CityLife, an enormous development planned for the historic Fiera di Milano neighborhood in Milan. 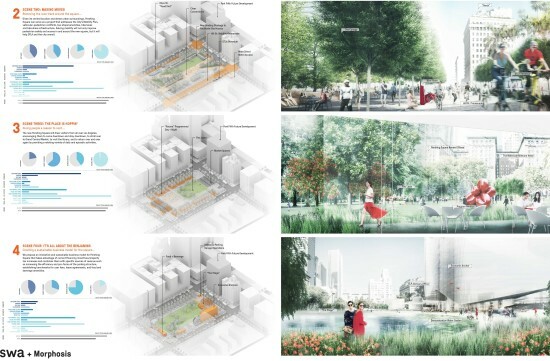 The New York-based !melk, which was founded less than a year ago when Jerry van Eyck left West 8 and teamed up with Evan Rose, won an international competition to design a multi-level piazza, sculpture park, and butterfly garden/pavilion situated within Libeskind’s master plan. CityLife will include skyscrapers by Isozaki, Libeskind and Hadid, as well as a museum of modern art, commercial center, housing complexes, and a new subway station. 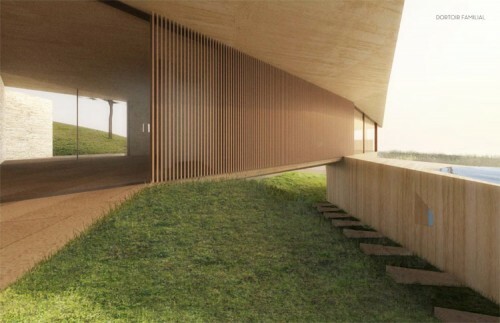 !melk collaborated on its submission with the London-based landscape architect Gustafson Porter as well as One Works and Arup in Milan. Though !melk is a new venture, its principals have plenty of experience. Jerry van Eyck was a partner at the award-winning Dutch firm West 8 for 17 years. Most recently he was the project manager for development on Governor’s Island, but left the firm, in part, to pursue more US-based projects. Ironically, !melk’s first big endeavor puts him back across the pond. Urban designer Evan Rose is a former partner of San Francisco-based SMWM (recently merged with Perkins + Will) who built up their New York office. 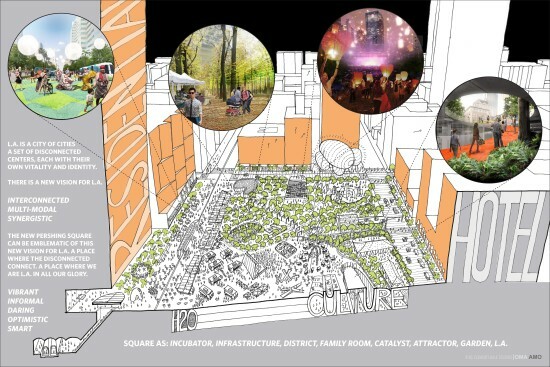 The CityLife project, under development by a handful of companies, is one of the largest urban interventions underway in Europe, of which more than 50% will be park space. Isozaki’s skyscraper, Il Dritto (the Straight One), will be the tallest structure in Italy. 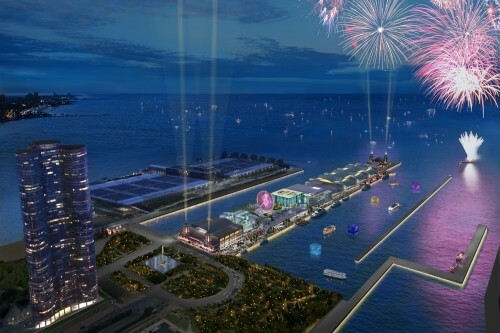 The project will also include waterways that suggest the canals of Lombardy. Milan Mayor Letizia Moratti, announced !melk’s victory on October 27. The other finalists were Agence Ter (France), Latitude Nord (France), Proap (Portugal), Latz + Partner (Germany), Rainer Schmidt (Germany), Atelier Girot (Switzerland) and Erika Skabar (Italy).